After careers in theatre and the circus, Nolan Haims moved into the world of presentation, designing presentations for CEOs and companies in nearly every industry. 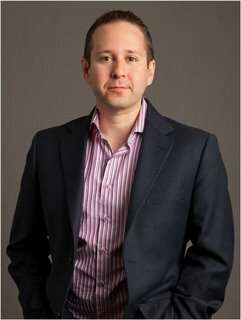 Currently he is a Vice President and the Presentation Director for Edelman, the world’s largest public relations company. He writes about visual communication at PresentYourStory. In this interview with Arte, Nolan talks about his experience with high stakes presentations to and by CEOs, and the importance of making presentations more visual. 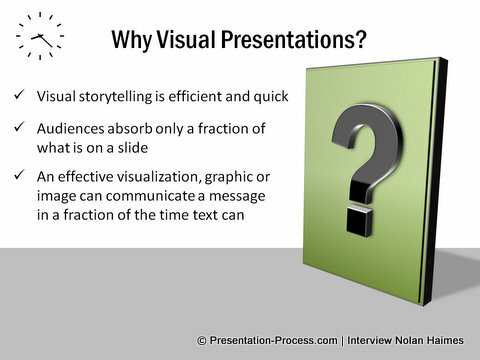 Arte: What is your definition of a ‘visual’ presentation? Nolan: I generally consider “visual presentation” to be anything non-text based. While text can certainly be visually communicative (e.g a word cloud), most of my work is in translating textual stories to ones based on imagery and graphics which the brain receives and remembers far better than text. Arte: You have dealt with high stakes presentations like for Fortune-500 CEOs. What has your experience in such presentations been like? Nolan: I have created presentations to be given both by and to very high-powered corporate leaders. What sets these presentations apart is the attention and effort paid to limiting content and creating a highly focused story enhanced by, but not dependent upon slides. When a CEO is the audience, the presenter realizes that time is incredibly valuable and works extra hard to eliminate anything extraneous that will be unimportant to the CEO. 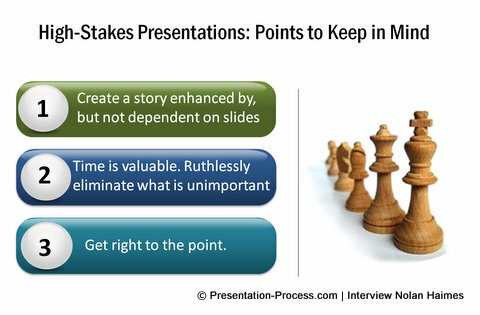 In high stakes presentations, often the listeners will even dictate the rules (e.g. five slides in five minutes) to enforce brevity. When the CEO is the presenter, he or she also understands that time is valuable and that everything presented must be laser-focused and trimmed of all fat. A CEO usually gets right to the point. 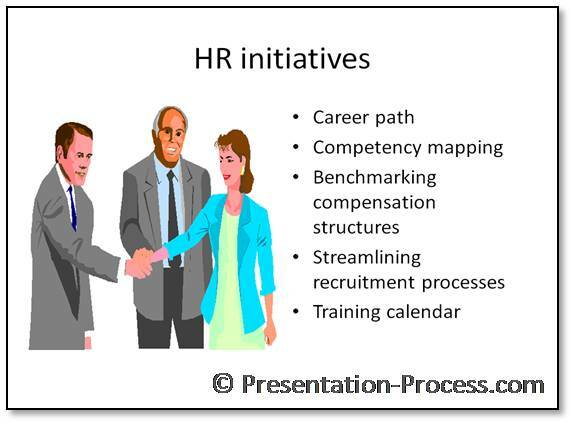 Additionally, a CEO knows that a presentation is about him or herself, not the slides. Therefore, slides can be designed as true speaker support, the way they should be. High stakes presentations would be immensely better if their creators acted as though they were presenting to Jeffrey Imelt, for example, or the presentation was being given by Steve Jobs. Arte: In your experience how does visual delivery of information help? Nolan: Visual storytelling is so efficient and quick. Few people have the time or attention to read a long research paper or a 100 slide deck filled with endless bullet points. Audiences will absorb only a fraction of what is on a single page or slide if it is filled with text, so an effective visualization, graphic or image can communicate a message in a fraction of the time text can. 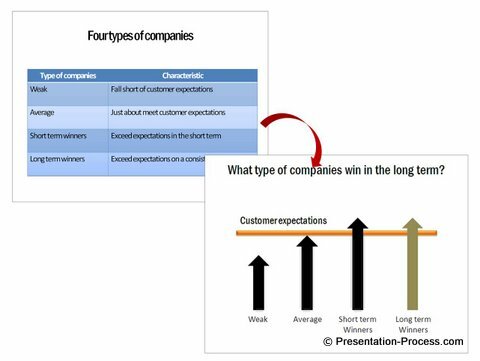 A quick example of this would be a well-designed bar chart that clearly shows, for example, a company’s sales in second-to-last place among 6 competitors. Add a brief title or header that confirms the message of the chart and you have a visual that instantly tells a story and can be understood probably by any international audience. In contrast, if one told this same story with 6 bullet points or with a table of data, the story would take much longer to tell, be much less clear, and actually be completely lost on many audiences. Arte: What do you suggest to your clients who make high stakes presentations to make information more visual? Nolan: If a presentation is being given live, I always suggest moving as much textual content as possible from slides into speaker notes. Then, if any text left on screen can be replaced with a graphic or an image, go ahead and do that. And always keep yourself to a single message per slide—this will make it much easier to settle on a single image or graphic for that slide. Arte: What is the process you advocate? Should people create text based slides and then make it over into visual slides? Nolan: Ideally, I like to see presentations first written out or at least outlined on paper or in a text document. Only after the story and content is clear, should one then move to creating slides from that document. However, if one insists on starting to write their content in presentation software, then go ahead and write a lot! Use dividers and headers to categorize and section out your information. I also am a big fan of using sticky notes on a wall or table to outline and create content and move things around before the moving to your presentation software. Arte: You have a varied work experience. How does that help you in what you are doing today? Nolan: I do have an interesting history in that I was a professional magician and circus performer as well as a theatre director and playwright. Storytelling is the common denominator in all that I’ve done. And I see my work with presentations and presenters as pure storytelling—and occasionally theatre. All good stories and presentations have good structures and move an audience from point A to point B. That’s something I try to get those who I work with today to understand. My directing experience also helps in coaching presenters as performers because that’s often exactly what they are. Arte: How can people learn to think more visually? Is it easy? Nolan: it is easy! Look around you! We’re surrounded by visual messages every day in the form of advertisements in print, online, on television. I tell people to create slides like they are designing a billboard. As Nancy Duarte says, slides are “glance media,” in the way that most advertising is. Just like a billboard must communicate a story in a few seconds, your slides should also tell a story in a similar amount of time. Design a slide like a billboard, or a magazine ad or a TV commercial. That’s visual thinking, and there’s no reason those techniques can’t be carried over to high stakes presentations. Arte: Are there some additional resources you recommend? Nolan: People make bad presentations because they see bad presentations. It’s that simple. So, if you want to be a good presenter, watch TED talks and read the great presentation books by Nancy Duarte and Garr Reynolds. 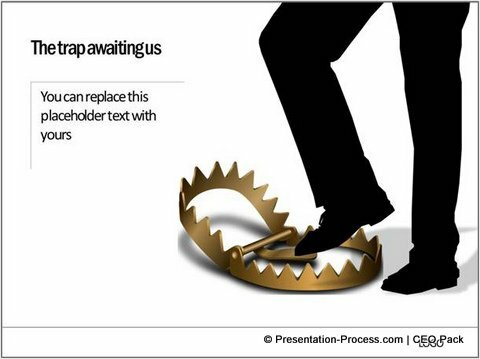 Look on Slideshare, NoteandPoint and other sites for examples of great contemporary presentations. Watch old Apple keynotes on YouTube and read Carmine Gallo’s excellent book, The Presentation Secrets of Steve Jobs. 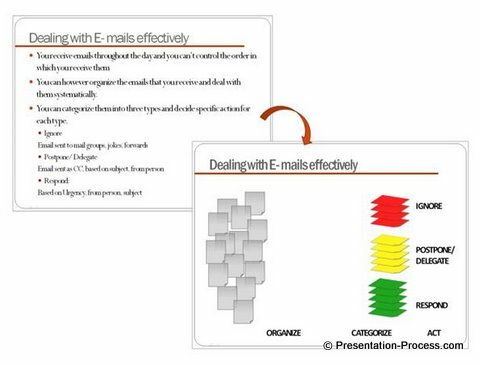 Collect effective presentations and pass them around to your clients and colleagues. Most people create bad presentations because they just haven’t seen how effective doing it the right way is. Look for opportunities to watch those who know how to do it right! You can follow the blog PresentYourStory for tips and Advice from Nolan Haims. Arte: Thanks, Nolan! It has been great chatting with you!